Today we're checking out Blick's newest alcohol marker option, the Blick Illustrator Marker. These markers were recently released, and certain sets have already sold out, and it seems like this is a limited time offer. 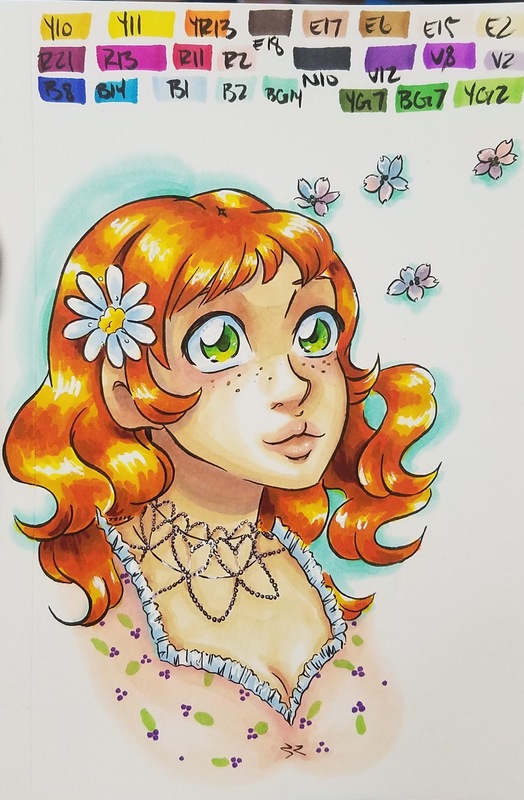 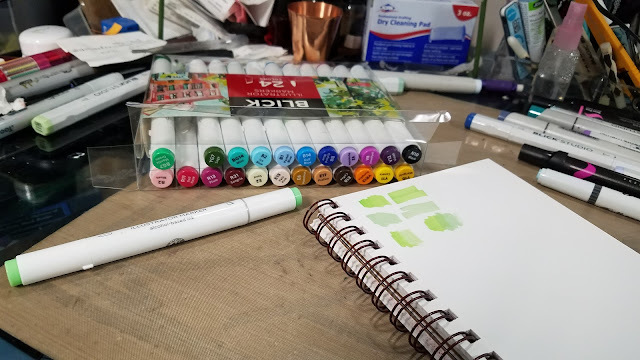 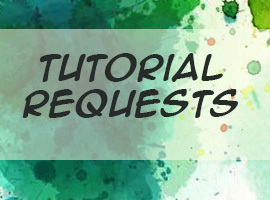 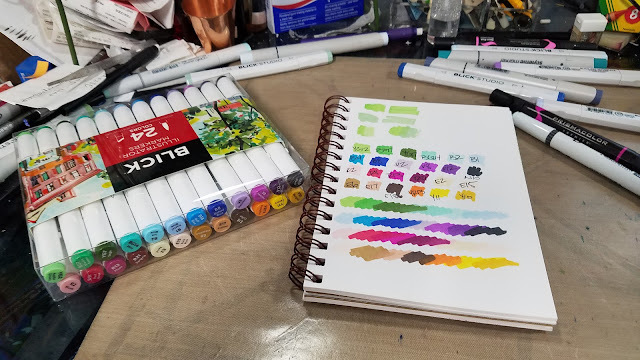 Over the years, I've reviewed dozens of alcohol markers- first on this blog, and then on my channel. 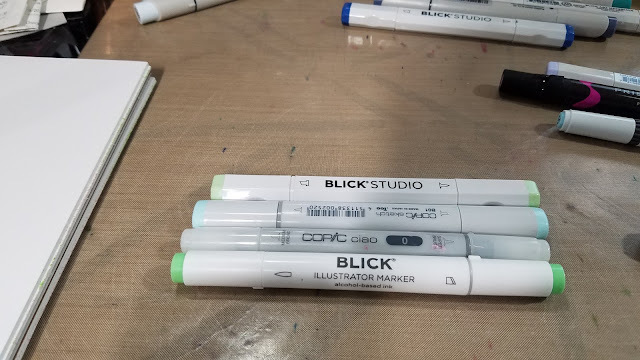 Limited time isn't enough to deter me, especially given how much I enjoy Blick's Studio Brush Markers. 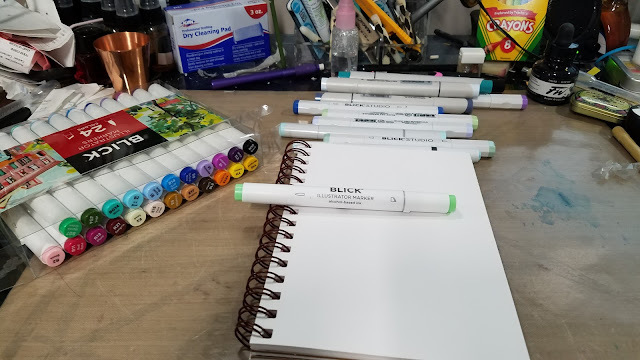 To celebrate my years of alcohol marker reviews, I'm giving away the set of Blick Illustrator markers I purchased for this review! 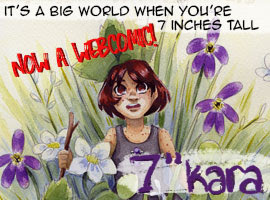 You'll have to keep reading to find out how to win them. 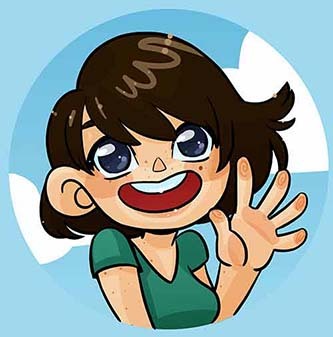 These markers appear to use the same body as the Artist Loft markers, the Art Alternatives #Colouring markers, and are very similar to Stylefile markers. 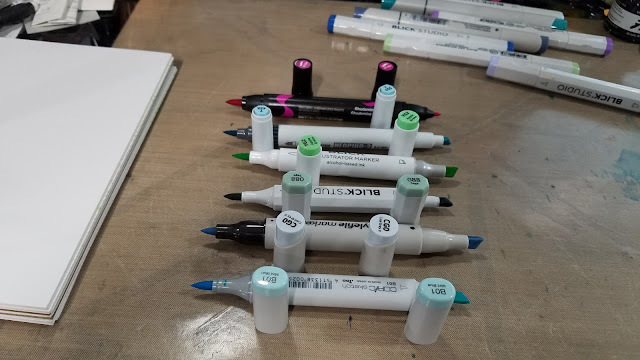 They utilize compressed fiber nibs (both brush and chisel), and are not designed to be refillable. 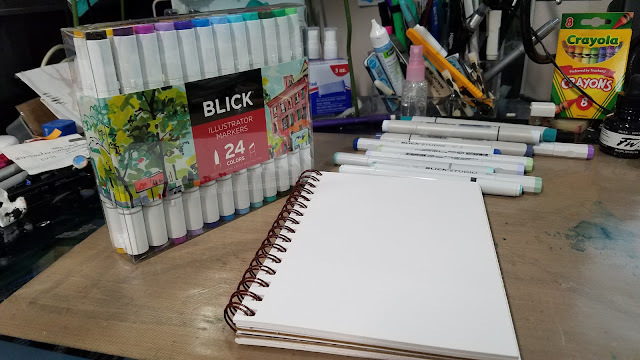 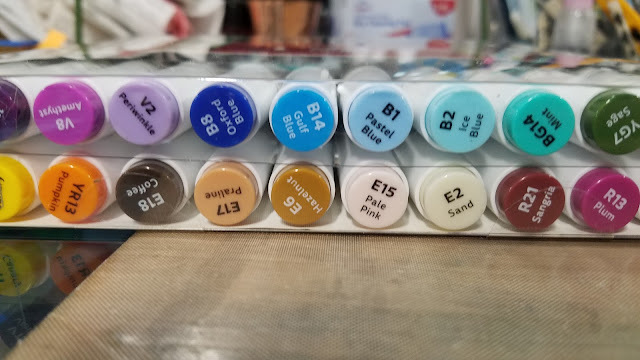 These aren't bad for a crafter who's interested in testing the waters for alcohol markers, but I wouldn't recommend these for anyone serious about delving into markers. 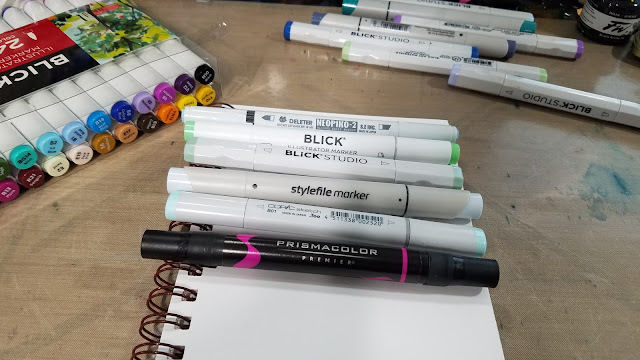 For those folks, I recommend turning your sights to the Blick Studio Brush Markers. 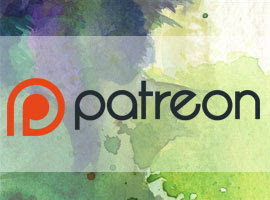 However, the price is great for a starter set, and may be hard to resist, especially for convention artists who'd like a set they could afford to lose.